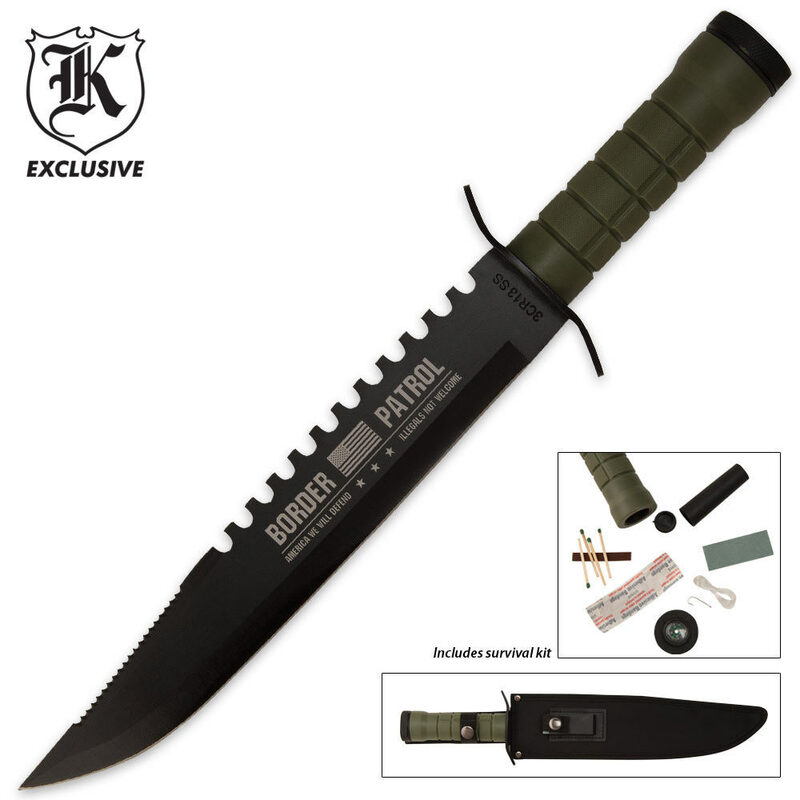 This themed survival bowie sports a tough 11 in. 3CR13 stainless steel blade with sawback. The handle storage compartment contains a mini survival kit with matches, fishing line and hook, bandage, water tight container, and is capped with a compass. A sharping stone is included within a snap-pouch on the sheath. The blade features Border Patrol artwork. 16 in. overall.